Next Level Information Limited (we, our and us) operates the website.  Next Level Information Limited is a limited liability company incorporated in England and Wales (company number 06715020). Our registered address is Essex House 7-8 The Shrubberies George Lane, South Woodford, London, E18 1BD. Our VAT registration number is GB9705528506. Our contact telephone number is +44 208 506 3900 and our contact email address is nli@nextlevelinfo.com. Our terms of sale, which are made available to clients and potential clients upon request. If you know or suspect that the confidentiality of your login information has been compromised, for example, by the disclosure of such information to any third party, you must immediately change your password. If you are unable to change your password, you must immediately notify us by email, at nli@nextlevelinfo.com. ‘NLI’ is a trade mark of Next Level Information Limited. If you purchase goods or services from us, different exclusions of liability may apply. These are contained in our terms of sale.